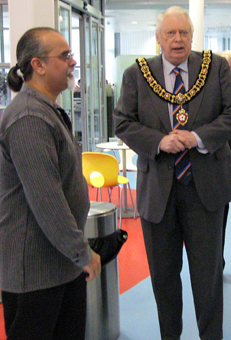 Our new DVD Braunstone Memories was launched by the Lord Mayor of Leicester Roger Blackmore at the Brite Centre on December 7, 2009. The DVD forms part of the Braunstone Memories Heritage Project funded by Heritage Lottery Funds and includes an exhibition. It explores the changing face of the area since it was built in the 1930s. EMEN Chair, Tim Haq said: "The project interviewed 55 Braunstone residents of all ages and backgrounds. Some were born in Braunstone, others moved there as babies while some are relatively new residents. Their stories have been preserved for future generations before they are lost forever." Residents were also encouraged to bring in old photos and archive material of Braunstone from that period. Mr Haq said: "Braunstone has seen a huge change from being an almost all white working class estate to today being a diverse community, giving it a very rich history." The project also had the support of the Public Records Office, the East Midlands Oral History Archive (EMOHA) based at the University of Leicester and Leicester Museums. 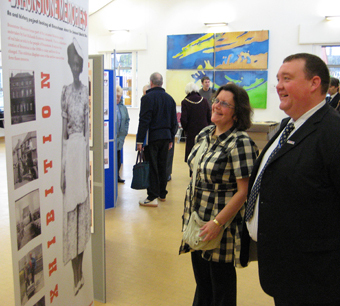 Our pictures show from top: The Lord Mayor of Leicester opens the Braunstone Memories exhibition and launches the DVD. Not only did we complete a hugely successful Intercultural project (see Connecting Communities Plus & CRE below) but the report from that project (Building Intercultural Bridges Between Diverse Communities: Moving on from Multiculturalism) has been published as a book and is now available to buy either from our website (click here)) or from most good online bookstores such as amazon. To see other publications that we have available click the 'archive/resources' link in the menu above. Working in partnership with World Arts Gallery (another social enterprise) and Leicester City Council EMEN was able to bring together writer Tim Asif Haq and artist Paul Barrand to develop another comic book: Speak For Yourself, looking at racism and extremism through the eyes of young people studying at Crown Hills Community College. EMEN has been awarded Heritage Lottery Funds for an oral history project: Braunstone Memories. This 12-month project will record memories of Braunstone residents over the last 60 years. The interviews will be used to create a DVD and any archive material collected will be used to put together an exhibition. Some of the work for this project and samples of interviews can be seen on the East Midlands Oral History Archive website. 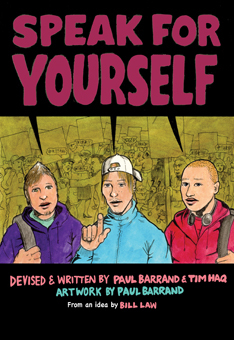 All the publications are available from our website click on the archive and resources link above as well as most good bookstores. East Midlands Economic Network is now East Midlands Economic Network Limited, a Social Enterprise Cooperative Company Limited by Guarantee. Registration Number: 06084960.